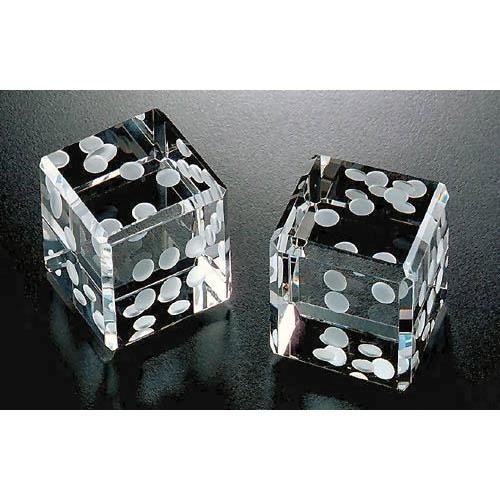 The object of the game is to roll both dice and get a 7, 11, or doubles in order to give out drinks. Everyone gathers around the table in a circle and place a cup in the center. Fill the cup up about a quarter of the way. The game starts by having one person roll the dice. If they do not get a 7, 11, or double then the dice are passed to the player to their left for their turn to roll. If the person starting gets a 7, 11, or double then they choose someone to drink the cup. As soon as the player chose to drink, touches the cup with their hand, the person who rolled they 7, 11, or double has to grab the dice and attempt to roll another 7, 11, or double before the player finishes the cup. If the person drinking finishes the cup before a 7, 11, or double is rolled the dice go to the next player and the cup is to be refilled. If the player rolling gets a 7, 11, or double before the player drinking finishes, then the cup is refilled and the two players attempt the same thing. This is repeated until the player drinking the cup finishes before the player rolling gets a 7, 11, or double, or before the people involved are to drunk to know what is going on . Which ever comes first. The player drinking can try to move the cup closer using objects, this way the player rolling cannot pick up the dice and start rolling. Once any body part touches the cup then the player rolling can proceed. Another player can jump in and drink the cup for the player who was chosen to drink it. If this happens then the game is between the player who jumped in and the player rolling the dice. This entry was posted in Games, Miscellaneous, Party, Uncategorized and tagged 11, alcohol, dice, drinks, easy, fun, games 7. Bookmark the permalink. Whose Deal Is It Any Way!? !